Brimming with sunshine, culture and golden coastline, Bali is the ultimate destination for a September beach getaway. Ideal for both adventure-seekers and those in need of a spot of relaxation, Bali is teeming with exotic plant life and abundant hiking trails begging for exploration. But arguably its biggest draw is the alluring sandy beaches that extend as far as the eye can see. Whether it’s the lava-black sand of the eastern coast or the white stretch of coast to the south, Bali’s beaches appeal to wide-ranging tastes. Relieve any lingering tension by sipping a frozen cocktail in the sun or swimming in the warm, crystal-clear waters of this peaceful island in Indonesia. If you’re hankering for an adventure away from the shore, explore Bali Barat National Park, a mountainous area of natural rainforest, mangrove forest, savannah and coral islands that provides refuge for a plethora of wildlife. Alternatively, hike the rugged path to the summit of Mount Batur where you’ll find spectacular views and bubbling hot springs. Bali is also rich in culture with diverse art forms, from silversmiths and wood-carving to painting, lively events and traditional dancing. 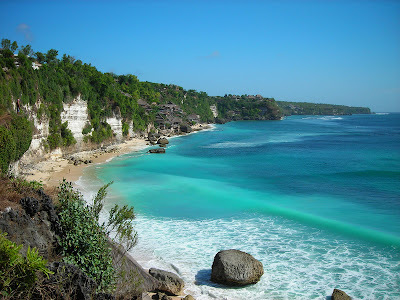 Bali is unquestionably the beach destination with everything to offer. 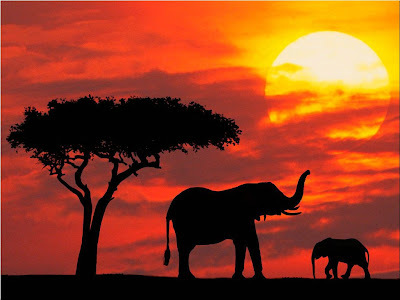 September is a good time to visit Kenya as the region is in the midst of its drier season, the temperatures hover around a comfortable mid-20°s C (60-70° F) and the wildlife activity is at its peak. A spectacular sanctuary for majestic wildlife such as the black and white rhino, lion, leopard, elephant, and endangered Grevy’s zebra among others, Lewa Wildlife Conservancy is the perfect option for the adventurous holidaymaker looking for an action-filled safari. National Parks such as Chyulu Hills, Laikipia and Meru also offer brilliant opportunities to view awe-inspiring flora and fauna. Wildlife viewing is at its peak in September due to the sparseness of vegetation and the animals’ greater dependence on watering holes. What’s more, the famous wildebeest migration also takes place in Kenya during August and September – so don’t forget your camera and look out for a thrilling stampede. Vasco da Gama is Goa’s largest city, commonly is referred as “Vasco”, located at the mouth of the Zuari River. Vasco da Gama is a planned city with a geometric road network, with two main avenues and smaller connecting perpendicular roads. The Municipal Garden like most in Goa’s big cities is pretty, well maintained and at the heart of the city. Vasco’s garden was built by the Portuguese. The city makes most of its money from the sea port at Mormugao, which exports enormous amounts of manganese ore mined further inland. Over a third of India’s ore exports leave from here. The history of Vasco started in 1543 when Portuguese acquired the area for its strategic location, and within a few years, it was transformed into one of the western India’s busiest ports. Around this time, plans were made to shift the capital city of old Goa, even the Viceroy D Francisco de Tavora was in favor of Vasco becoming the Capital of the Goa State, with this purpose many buildings were constructed as the Viceroy’s Palace, offices and warehouses, but all plans ended abruptly when the court of Lisbon scrapped the plans of making Vasco as the Capital of Goa, before the city well planned became an important city. The city’s large size is due to its business focus, and it does not have an enormous amount of attractions for tourists. There are a few highlights, though. Pilot Point : Follow the Mormugao Port Trust Road, which climbs uphill to an open space with benches and a concrete deck. This is Pilot Point, which affords a magnificent view of the core of this port city, bustling Mormugao Harbour. If you visit Pilot Point during the monsoons, watch your step since the floor is mossy. Mormugao Port : One of India’s few natural harbours, the port’s importance is as an export point for Goa’s premier industry – mining. But the Goa tourism industry is fast catching up with mining. Around 30 cruise ships dock at Mormugao every year. They sail-in in the morning and streat out in the evening. Passengers take a quick tour of Goa’s beaches, churches and temples, or as much as they can pack into a few hours. 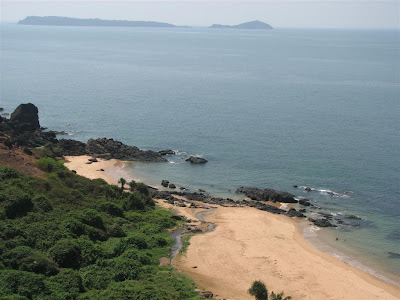 Bogmalo Beach :Bogmalo seaside can be a well-liked attraction of Vasco Da Gama and tourists visit this seashore since it is less commercialized than other seashores. The local shacks there supply superb foods and it is possible to attempt out diverse Goan dishes. Here you can try your hand at open h2o diving as the water is very secure for swimming. Naval Aviation Museum : National Naval Aviation MuseumThis museum is on the road to Bogmalo, adjoining INS Hansa, is the only one of its kind in India and one of a few in Asia. The museum, against the backdrop of the picturesque Bogmalo Beach, has displays of various kinds of aircraft and weapons systems that the Indian naval air arm, which is headquartered in Goa, has operated. A seaman accompanies guests to explain the various exhibits. The armament room houses difference bombs used against surface targets and torpedos that target submarines. The safety equipment room displays complete pilot flying gear, complete with an ejection seat. There are models and rare photographs of the liberation of Bangladesh in 1971. The Archive Hall houses a large model of the Ship INS Viraat. It also showcases rare photographs of the Indian naval aviation’s proudest moment: the liberation of Bangladesh in 1971. Saint Andrews church : The town is also famous for the ancient Saint Andrews church, which is almost 400 years old and is a picturesque monument. Japanese Garden : Further up the road from Pilot Point, right at the very top of the Mormugao Ridge, is the Japanese Garden, maintained by Mormugao Port Trust. It is home to the ruins of the Fortaleza Santa Catarina. The massive wall of the fort runs through the garden. It commanded a strategic point for defence during colonial times – an uninterrupted view of the mouth of the Zuari River. Vasco da Gama is famous for the 15-day Saptah at the Damodar Temple, its September festival which is quite possibly the biggest in Goa India. The 105th Saptah was celebrated in 2004. Saptah begins with a coconut being carried in a procession to the Damodar Temple. Vasco comes alive at night when the parade begins. Each ward sends a tableau and the entire city turns out to witness it. Vasco da Gama has a large sprinkling of non-Goan cuisine restaurants. Annapura Restaurant, is popular for vegetarian food, as is Meghdoot, in Colaco Building on Swatantra Path. Try pao bhaji at the latter. Lymaur’s is also on Swatantra Path, and serves Goan, Chinese and a few continental dishes. Try anything in fish and chicken. Biryani and fish curry rice are the best bets at Royal Durbar, in Indira Niwas near Madina Masjid. Don’t miss a meal at Anant Ashram near the Municipal Gardens. They have a huge variety, but the chicken dum biryani and seafood Goan dishes are best. Anant Ashram also has the City Shack garden restaurant, which has live music on Wednesdays, Fridays and Saturdays. Vasco has an enormous shopping option. Its specialty lies in the traditional handicrafts as well as designer clothes and accessories. By Air: The Dabolim airport is located at a distance of just 4 kilometers from Vasco Da Gama and has flights plying from major metros of India regularly. By Rail: Vasco Da Gama features a railway station in the southern finish where trains from nearby places in south and central India appear right here on a typical foundation. By Road: Vasco Da Gama is effectively related by a broad network of roads and this location can be reached quickly by hiring local transport. Inter state buses also ply right here from close by states. A week or two spent revelling in the languid luxury of Goa’s sunny sosegado, or susegad, two Portuguese colonial-era terms roughly translated as “laid-backness”, should not be missed on any hectic visit to mammoth, fascinating, often impossibly frenetic India. Though five-star resorts such as the Intercontinental, the Hyatt and the Kempinski have long made their mark on this most diminutive of Indian states (all characterised by top-notch service, opulent surroundings and calm, sand-raked beaches) there is nevertheless much charm to be had in forsaking the mammoth swimming pools and generic - if generous - resort bedrooms, and plumping instead for a stay in one of Goa's most evocative, charismatic, heritage boutique hotels. North Goa, best known for its package holiday- and party-friendly resorts of Calangute, Baga and Candolim, as well as its flea market at hippyish Anjuna, also offers a whole host of atmospheric delights for those keen to experience a slice of life of an older, more "authentic" Goa. 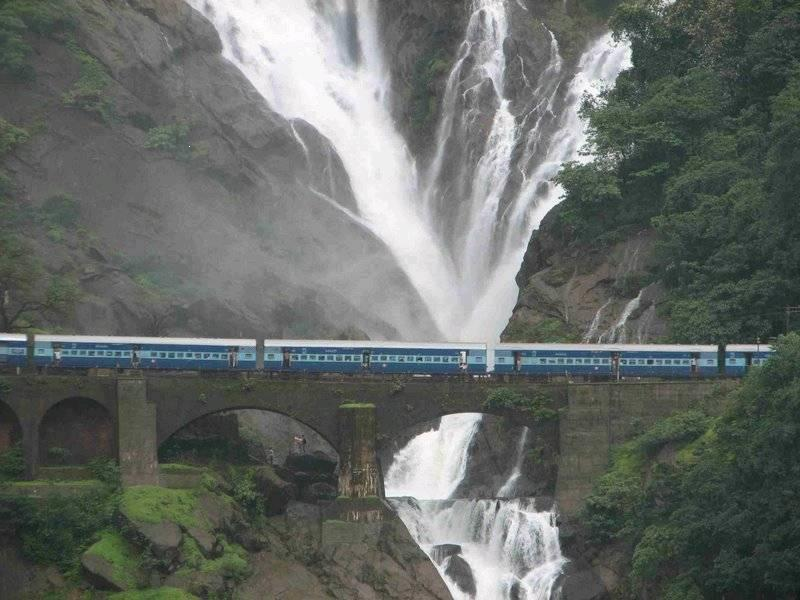 Opt to stay in Siolim, a sleepy, slightly inland village famed for its bevy of palaçios (manor houses) ranged along the banks of the Chapora River. Here you will find Siolim House, an impeccably restored centuries-old home with seven high-ceilinged guest rooms all decked out in Goan antiques, four poster beds and terracotta tiles. Dine in the inner courtyard on fresh snapper or pomfret, avail yourself of an Ayurvedic massage courtesy of the in-house masseur, or take a quick dip in the sparkling garden-side pool. For something completely different, head up to the northernmost tip of the state, not far from the backpacker haven of Arambol, for a stay at Fort Tiracol, a 17th-century Portuguese fort teetering on the cliffs of the Indian Ocean. Seven rooms, each named after a day of the week, have contemporary furnishings and stunning seaside vistas. After a fiery Goan curry lunch, or a sunset cocktail, served on the fort ramparts, look in on the in-fort chapel, then dip your toes in the shallows across the river at Aswem beach. Alternatively, if barefoot luxury is more the order of the day, arrange a stay at Elsewhere near Mandrem, a collection of three 19th-century Portuguese homes (known as the Priest's House, the Bakery and the Piggery) on a mile or so of privately owned beach, perfect for bobbing about undisturbed with only gulls and ghosts of Portuguese past for company. In central Goa and the lazy riverside state capital of Panaji (most commonly known as Panjim) stay in secluded nearby splendour at Casa Britona, once a customs warehouse and nowadays a seven-room boutique property set on the banks of the Mandovi River. Rooms here include antique Goan furniture and riverside verandas; the resident chef can whip you up an Indian feast to be eaten al fresco beside the slow-moving Mandovi waters. The historical, architectural treasure-trove of Old Goa, filled with the remnants of a city that once rivalled Rome, are a quick rickshaw or moped ride away. 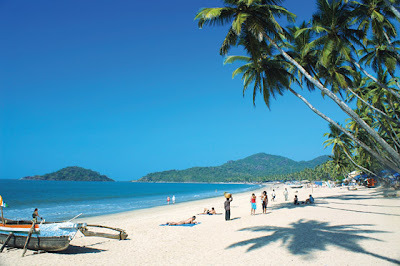 Further south again, South Goa lays claim to the very best of the state's beaches, a slower pace both of life and of tourism development, and a heady combination of emerald paddy fields, white sands beaches and warm, azure waters. If you are not in the mood for the rustic beach huts at Palolem or the swish Park Hyatt resort further up the coast, opt instead for the beautiful inland Vivenda dos Palhacos. Set in a restored Portuguese-Hindu mansion, the hotel's six bedrooms and separate cottage (endearingly named The Chummery) are ranged around a gorgeous small pool. Dinner here is candlelit, locally sourced and courtesy of a highly proficient Keralan chef - and if you are suitably impressed with the food, you can request cooking lessons the following day. Finally, to escape from the beach, head into the hinterland to Casa Susegad, a restored Portuguese villa set in the atmospheric, seldom-visited village of Loutolim. Run by a friendly British couple, all five rooms are lovingly restored, meals include ingredients from the hotel's organic garden, and animal-lovers will revel in the presence of half a dozen friendly canines. Laze by the pool, indulge in a long lunch while monkeys cavort in the trees and knock back a coconut feni or two (the local Goan firewater), and you will truly appreciate the meaning of a good Goan susegad.